The society is one of order and it is best illustrated in the parking lot of a hospital. Hundreds of cars and not a single car facing nose in. Every single person backed in. A little different than the chaos of driving and parking in the UK. 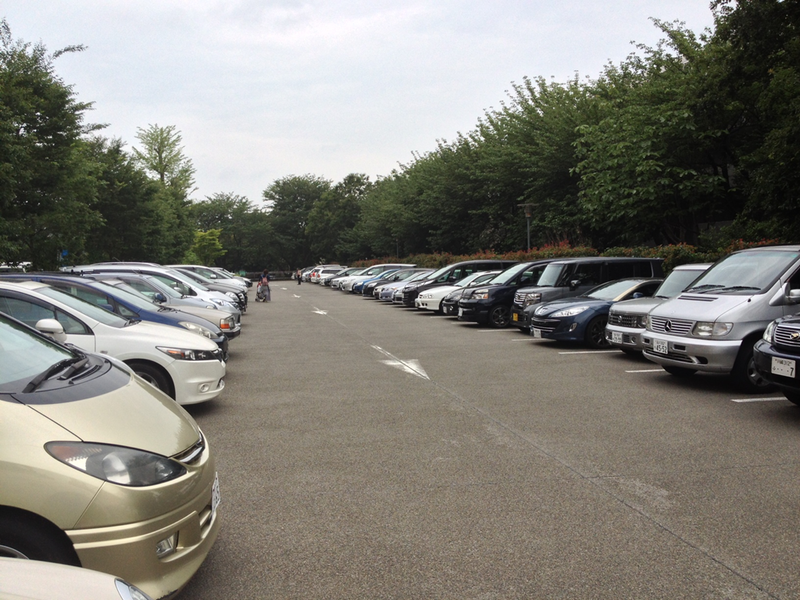 This entry was posted in Our Asia Adventure and tagged Japan, parking, Tokyo by michaelweening. Bookmark the permalink. yea, you should see the …uh, handicapped in the states. they think they ‘own’ the parking lot… sheesh! sideways, crooked, diagonal… alllll over the place!